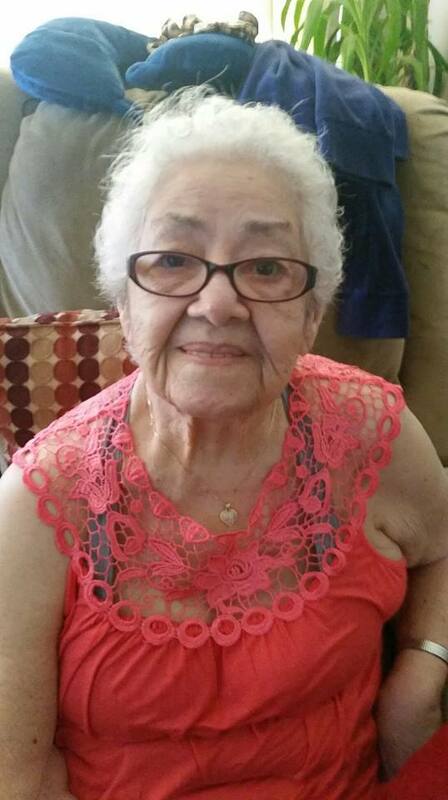 Clary Matos, originally from Peñuelas, Puerto Rico, 92 years passed away peacefully surrounded by her loving family on Saturday, September 29, 2018 at her residence in Chicago. Clary is survived by her loving children: Hildy (Raymond) Santos, Jose B. (Maricela) Matos, James (the late Dolores) Matos, Marilyn (the late Edward) Hernandez, Mary (Fidel) Sanchez, the late Roberto A. (Blanca) Matos, and Carmen Matos Alvarez. Cherished grandmother of 24 grandchildren, 27 great grandchildren, and 5 great great grandchildren.Fond sister of: Hilda Feliciano García, Luz María Feliciano Quiringdongo, Laureana Feliciano De León. Clary was preceded in death by her husband †José Matos, her parents †Antonio Velázquez & †Rosaura Rodriguez, her brothers †José Feliciano and †José Luis Feliciano. Long time resident of the Pilsen Community in Chicago. Clary will be greatly missed by her family and friends. Visitation: Tuesday, October 2, 2018 at Michael Coletta Sons Funeral Home 544 West 31st Street, Chicago, IL 60616 from 2:00 pm to 8:00 pm. Funeral Service: Wednesday, October 3, 2018 family and friends will meet at Providence of God Church 717 West 18th Street (Union Street Entrance) Chicago. Clary will be Lying in State from 9 am till the start of Celebration of Life Mass at 10:00 am. Burial will be at Mount Carmel Cemetery in Hillside. Clary you were sweet,funny and worked hard raising your children. You were always there for your family related and not related like myself. I felt close to you anyway because you welcomed me into your beautiful family. Love you and will miss you . May you rest in peace with all your angels. Jean and I would like to express our condolences, and ask your forgiveness in our misinterpreting Hildy’s text message.